After 14 years in the restaurant world, during which he won UK Sommelier of the Year 2007 among other awards, Nicolas Clerc MS made his move to Fields, Morris and Verdin in 2014. He completed his WSET Diploma in 2017 and won the Concha y Toro prize for outstanding results. He tells us why the Diploma gave him the global approach needed for his new role and praises the people that have inspired his success. What initially appealed to you about working in the wine industry? I chose the restaurant industry because I wanted to travel. The interest in wine came after meeting some established sommeliers. I started my career as a sommelier in 2000, based in the Languedoc Roussillon which at that time was in full expansion in terms of quality. This was a great time to be there, the wine scene was very dynamic. Then I moved to the UK, and that’s when my career took off. The whole world of wine was there, including some of the best sommeliers and best restaurants in the world. I have not stopped learning since! I loved the theatrical context of a restaurant, playing a different scenario every night. My love of poetry and words helped me a lot when trying to find the most appropriate description of a wine, trying to be simple but precise while explaining it to a customer, why it should work with their dish etc. 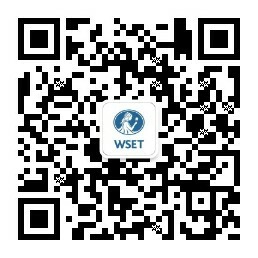 Having become a Master Sommelier in 2010, what inspired you to continue your education and complete the WSET Diploma? When I left the restaurant industry to join Fields, Morris & Verdin (FMV), it was a change of career for me. The MS is a hospitality exam. When I joined FMV, I wanted a more global approach to the wine world, and for that WSET was a real eye opener. I loved the academic approach and the quality of the educators. The Diploma covers all aspects of the wine industry, and that was a real plus. It really helps me understand how the company I work for works. What I will treasure from the diploma is the people I met during my studies. Working in a study group was a first for me, but I was very impressed by the weekly development of the group, becoming more knowledgeable, more precise in tasting and more confident. Some of these people are the future of the wine industry, and I am lucky that they became my friends. You achieved many awards in your time as a sommelier. What do you feel was your secret to success? I don’t know if there is a real secret to success, it all comes with hard work, curiosity and passion. Somehow when you work with passion, even if something is hard it does not feel complicated. What’s important is the inspiration of others in what you do. I have been lucky enough to have worked with some of the best sommeliers in the world and being by their side has been an education. While this does not directly bring you success, it leads you on the right path. Then with luck perhaps success will come? As a member of the board of the Court of Master Sommeliers, why do you think wine education is so important? Education is important in general in society, alongside manners and respect for others. In terms of wine, I am delighted to see the increased demand for education, and the CMS has been a key part of that success. Education is important in order to build students’ confidence, as well as to guide them to acquire skills, knowledge and values. It is very noble to be able to develop the future, and what we are doing (CMS and WSET) is based on that via the process of facilitating learning. When I joined FMV, I wanted a more global approach to the wine world, and for that WSET was a real eye opener. I loved the academic approach and the quality of the educators. Who are your role models in the wine industry and why? I am lucky to have many, and to work or collaborate with them very often. I am involved in the UK Sommelier of the Year competition, and work with many past winners on the technical committee. Despite the fact that they have evolved and sometimes changed career, the dedication of the group is simply amazing, it is like they won the competition yesterday! My original mentor was Eric Zwiebel MS, he inspired me to become a sommelier. We have known each other for nearly 15 years now and our relationship is still the same. But my real inspiration is Gerard Basset DipWSET, OBE, MS, MW, I have never worked for him but we have collaborated on many projects over the past few years. Every single discussion with Gerard is memorable. He is an institution in the wine world but could have been successful in whatever he wanted to be. He is that rare type of person that once you’ve meet him, you never forget him.